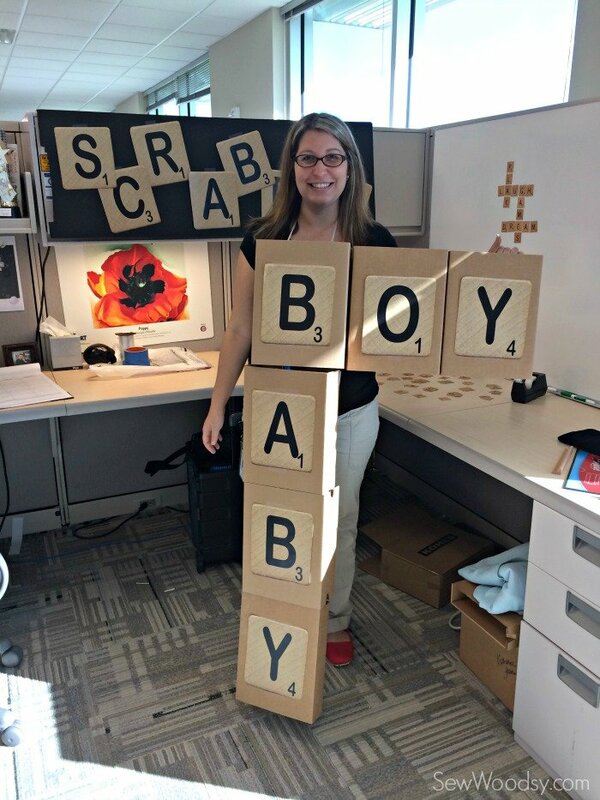 Last year, we decided to share the gender of our baby on Halloween. After sharing our birth story earlier this year, we were going through a really rough time. We had no idea if the baby I was carrying was even going to be healthy. We had known for a few week’s prior and had told only our immediate family. They kept their mouths sealed shut until we were ready to share the news with the world. 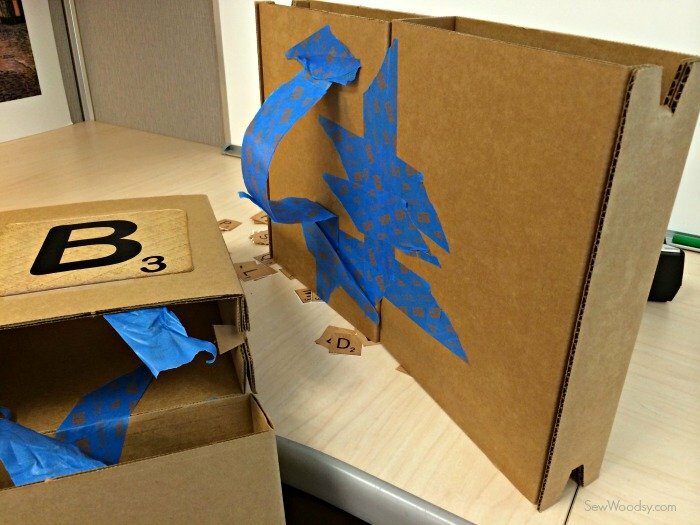 Every year my former corporate job would decorate cubes and have a theme for Halloween. Last year, our theme was board games. 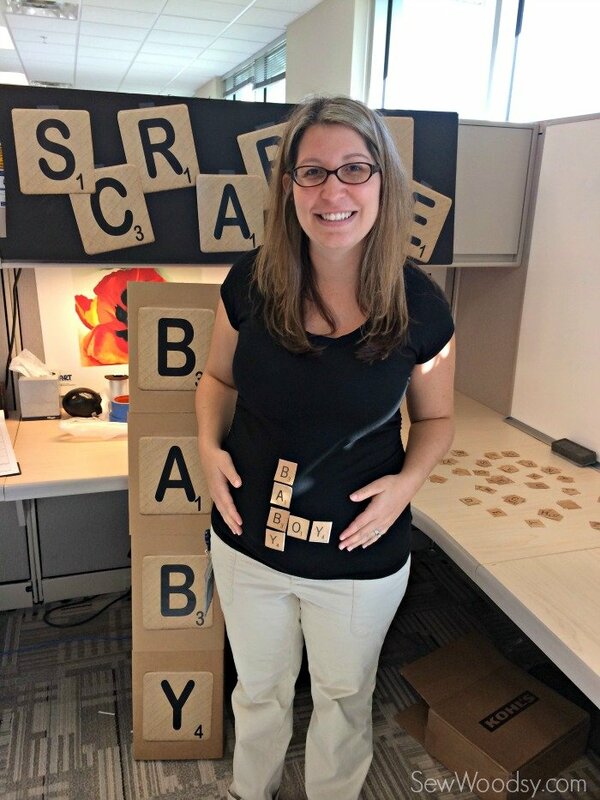 I struggled with what I wanted to be/do until it dawned on me I could do scrabble and also do a gender reveal. Jon was a little reluctant to share the news of the gender of the baby, but I felt it was the right time. I through this costume together in less than 30 minutes! I found a few thin filler boxes in my office. 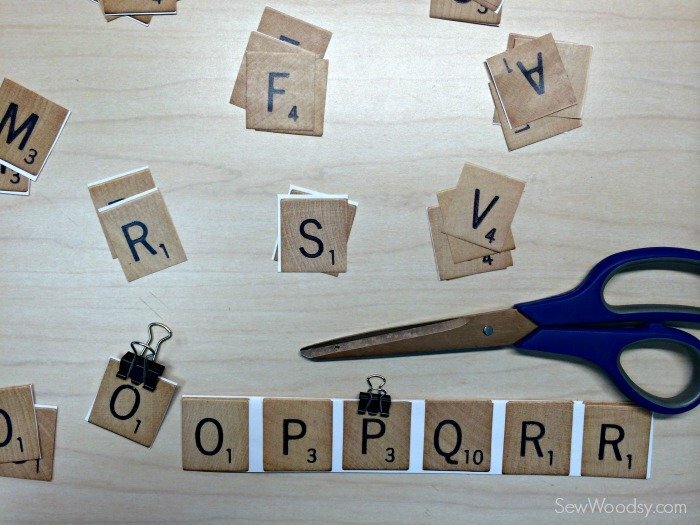 I downloaded these scrabble letters, printed them out, cut them out and taped them on to the box. Then I attached the boxes together using ScotchBlue Painters Tape and strung some string around the top so I could “wear” it. I also added an “arm shield” making a tape holder so I could hold up the “oy” portion with my arm. I then cut out small tiles, clipped them together using mini binder clips and cut them out. 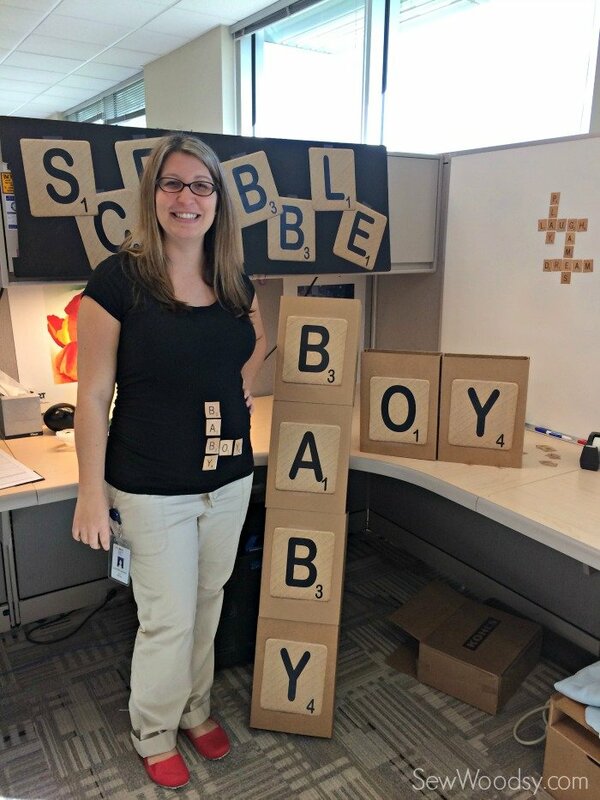 I used these for my white board plus I spelled out “baby boy” on my stomach so I had “something on” when I wasn’t wearing the cardboard. And easy as that… my costume was done! I was 19 weeks pregnant in this photo. I had a little bump going but you couldn’t tell because of my black shirt (and the angle). 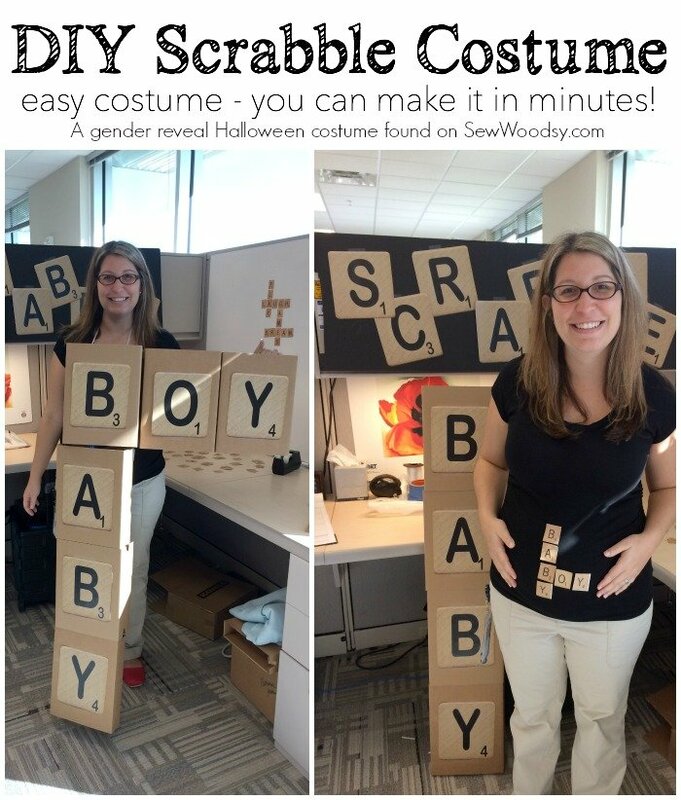 Everyone loved the creativity of the scrabble costume and of course finding out the gender of our baby!